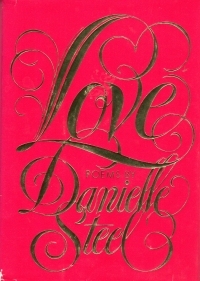 This book is a collection of love poems written by 70s and 80s best-selling novelist Danielle Steel. It’s a poetry series of sorts, sort of a concept album of poetry describing the break-up of a relationship, the loneliness thereafter, and then the resumption of dating and perhaps the start of a new, lasting relationship. The poems themselves are not bad–a cut above some of the things I read in chapbooks and whatnot–but the poems have a collegiate feel to them. The lyrics have a good sense of rhythm and some nice imagery, but suffer from excessive line breakery–where phrases are chopped into separate lines because that’s how one does poetry. Or did in the 1970s and 1980s and in scholastic notebooks. At any rate, I got the book for a buck at Hooked on Books on their outdoor cart o’ cheap thrills, so it was worth my purchase. It’s still available on Amazon, though, so if you’re so inclined, you can click below. Remember, every time you purchase an item through the Amazon links I provide, I get absolutely nothing from it because Amazon had a mad-on for Missouri from time immemorial (in that I don’t remember when it started). I think it was because Missouri wanted them to collect sales taxes; Amazon does now, but it doesn’t give me a twopence for all these sweet, sweet outgoing links. And to be honest, I’m not sure if I’d want them to suddenly allow me back in the program, as I’d have to prolly manually update thousands of links on this site for a couple bucks a year. But I digress.